March showers bring April flowers…and the specter of summer drought. The joys of spring are undeniable. It is almost as if a gardener holds their breath through winter. 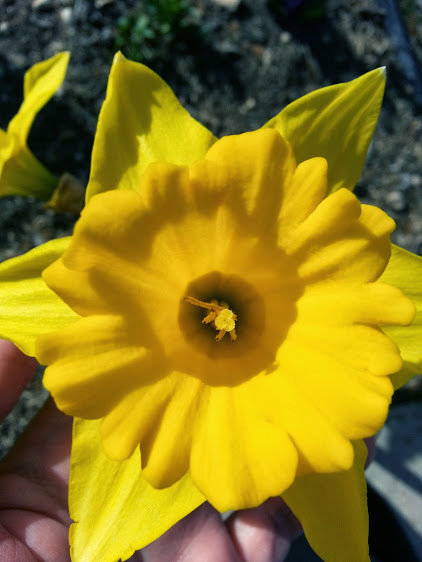 Just when we think we can’t do it a moment longer: the daffodils come up and their presence causes us to sputter and gasp, in what feels like our first breath in months. February brought daffodils. They have faded already, but are being replaced by the later joys of spring. The sun comes out and our daily levels of home grown vitamin D begin to replenish themselves. 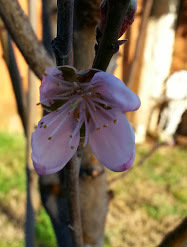 The peach flowers are opening. 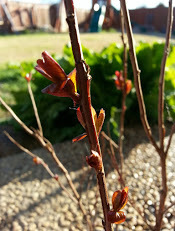 The crepemyrtles are leafing out. Cabin fever is thrown out the door. The inner dream farmer- who will tend and harvest acres of abundance in our minds- has again possessed us with outlandish dreams for the season. 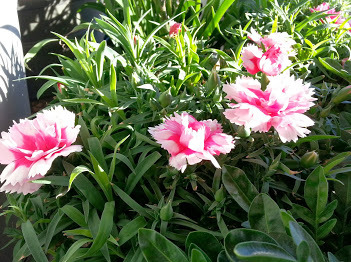 We bound giddily outside to witness the miracle of the annual ceremony of the waking of the plants. Our collective memory of when humanity faced freezing bleak winters full of possible starvation and hardship (which is wound tightly around our DNA) sees a light at the end of the tunnel. The time of waiting to replenish our stores, the possibility of not having enough to feed ourselves and our families, the consumption of the last of the food put up in the summer and fall: All of the fear that is encoded into winter, is winding down and with it our collective stress levels. 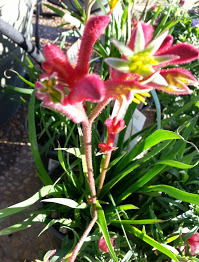 This is an Anigozanthos or Kangaroo paw. It’s almost as if, we too, are slowly unrolling our leaves and emerging from our winter slumber. 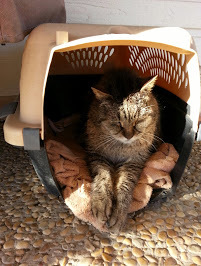 My antique outdoor/barn kitty: Newman. He’s over 20 years old. It is a relationship that works to benefit both our tended plants and the soul that resides within each of us. And then there is the specter of drought. An awareness that lack of rain may wipe out all of my efforts. Drought is one reason why I take such time with amending, researching and building. My big veggie beds are made to endure drought, this year may still prove too difficult. 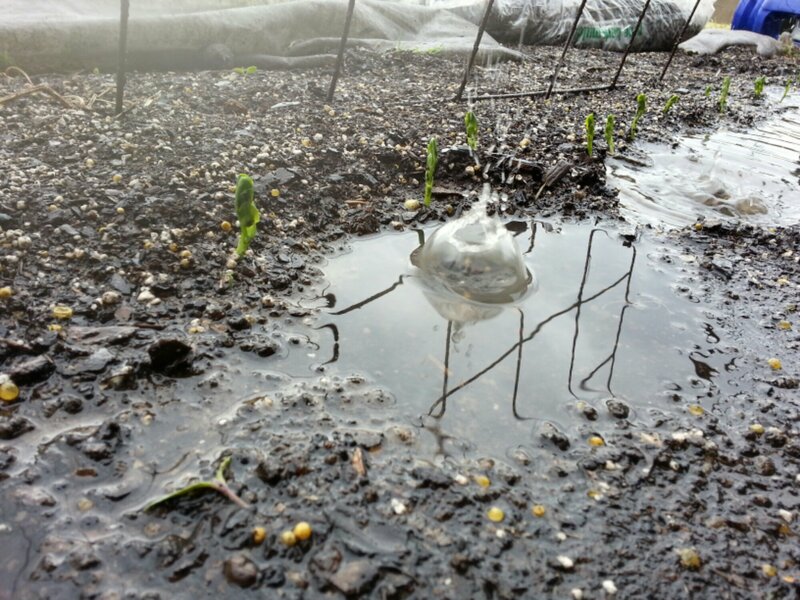 My peas are enjoying the rain. We haven’t had nearly enough. They’re saying because of the drought down here, that we are starting out at the lowest they’ve ever had our aquifer in spring. Some lakes are bone dry. For the rest of them: boat docks are high above any remaining water. We are expecting stage IV water restrictions to hit around July. 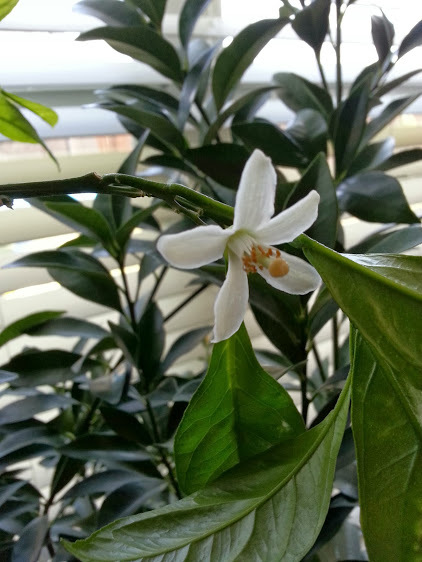 A ban on watering our yard will definitely put stress on the trees and I expect to lose most of my smaller plants. Then there’s the possibility of foundation problems in our home as the soil moves as it dries out. But maybe the drought will force me to finally appreciate our impossible to kill Bermuda grass? There are always options, but this year is going to be tough for anything we don’t hand water with grey water or our rain barrels. I’ve been witnessing this drought for the last 3 years or so. I grew up all over the south (mostly Texas) but I’ve never seen drought like this. All things cycle. Nothing is static. The last time drought was this bad down here was in the 50’s…definitely before my time. My granny grew up in Kansas during the Depression and the dirty thirties. It seems about time for another terrible drought. 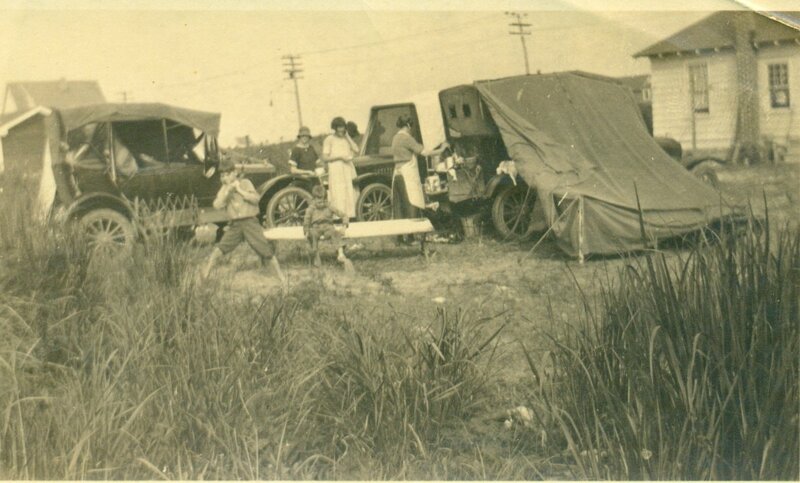 My family on a trip to Washington DC in 1924. My granny’s family literally had nothing. During the Great Depression they moved into an abandoned house. It was the same house she and other kids used to throw rocks at and break what was left of the windows. True hardship in this country is only a generation or two back for most of us. My other grandparent’s old farm was spared in the great flood of ’93. They had already lost it to debt in the 80’s when so many farms went bust. It is hard to see your strong, proud grandparents as they watch their dreams auctioned off. The trucks they had named, the farmhouse they had restored, the fields they had lovingly tended: sold to attempt to pay for the accumulated, crushing debt. 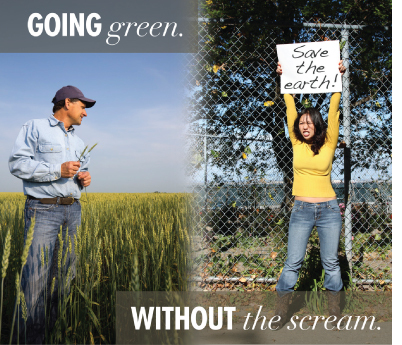 For farmers it always seems like nature is against them. Maybe that’s why they’re such an independent, stubborn lot? Luna is watching over me as I explore the garden. Tree ring data across the west show we’ve been in an unusually wet period last few hundred years (the data is certainly not new: but the span of time that paleoclimatoligists have recently been able to document is truly astounding.) The pendulum has far to swing before we are at a historically neutral place. Paleoclimatologists are warning of historical data that shows “Mega-droughts” in the United States, some of them spanning hundreds of years. Mega-droughts are something we as modern Americans can’t conceive. I certainly can’t imagine 200+ years of severe drought across California and the western states. That kind of situation is what drove people from the Midwest during the 30’s. 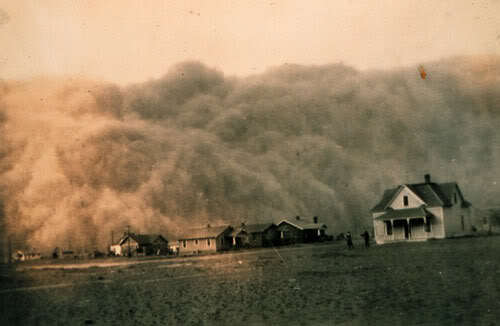 The Dust Bowl only lasted 10 years. A Mega-drought out west would cause a reverse of that great westward migration. Man cannot be separated from a source of drinking water. Before you get “the big head” as they say in the Midwest: it’s important to remember our place in evolutionary history. I think we tend to think we are entirely more important than we actually are. 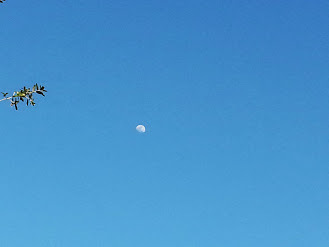 We ultimately have the choice of being a brief blip on the timeline or we can figure out a way to hang on: defying chance and time. Nothing else has been able to win without evolving. 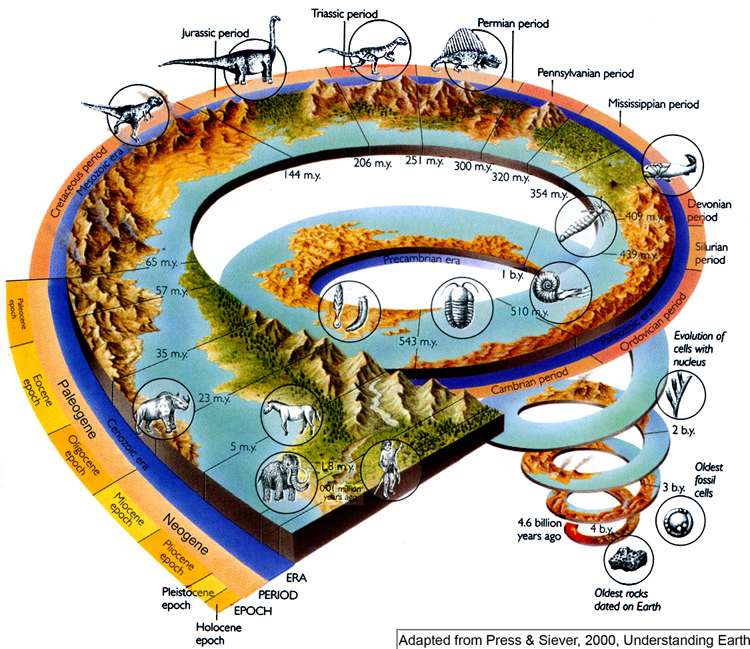 If you look at history, mass extinctions are a probability not an exception. No matter how we handle things: all of our accomplishments and failures will be erased by time. Our species lifespan will ultimately be affected by our choices. Time will tell if we will allow ourselves the ability to mature. Drought happens, but the pressure to pump our aquifer is increasing yearly. Here’s to hoping there’s enough drinking water this year (and in the coming years) while still allowing family farms to flourish. At the moment: that’s a pretty big thing to ask for. Think about the family farms as you hear about drought this year. Agriculture is THE big water user. But before you judge: they produce our food and are run by tons of wonderful families who choose to live a life that requires flying by the seat of their pants and who are always at the mercy of our weather patterns. “Salt of the Earth”…such a good descriptor for farmers! In the bread basket of North America: America’s farmers currently have an abundance that feeds much of the world. I saw this the other day and had to chuckle. This is a Texas Ag advertisement. I love anyone who is trying to make a difference and is following their heart, but a lot of people would do themselves good to slow down and learn about what life is actually like on small farms across America. It is a hardship to choose to be a farmer, but a time honored choice. There is no path to riches on a rural family farm. There are always an abundance of people who think they know what’s best for everyone else. It’s also usually people with more opinions than practical knowledge. You also can’t beat that the current focus is on our over consumption. Finding reasons to eat less in this country is so unique in the history of this planet. I doubt any of us would volunteer to go hungry. Although, there will be a day that this ability to create abundance will change. It’s part of the seasons of this planet. We are very, very lucky right now that all things are currently working in our favor. For those of you outside of the drought: expect hay, beef and other livestock related prices to continue to go up. Texas grows a lot of cotton around Amarillo. That area is always arid, but it’s getting much worse with the drought. Middle Texas raises a huge amount of beef. As the dry days multiply, you will continue to see the prices reflect that at your local grocer. Down in south Texas we’ll continue to pray for some significant rain: less clear skies and a few more cloudy days that might require an umbrella. A prayer which will benefit our farming community and backyard gardeners, alike. Previous PostThe Seed Collector’s Insanity (Tips And Tricks For Starting Your Seeds)Next PostCooking With Lettuce?!?! Yes! And It’s Delicious!!! You’re about 1 1/2 months ahead of us. Hop we both receive much needed rain! I really like your site Levi. The conversation about man and his grass lawns is such a great way to explain our monoculture grass addiction! Very interesting article! I hope the rains do come so you are spared a severe drought. I like stories about keeping it real! So many places on our earth are suffering with either too much water or not enough and we all need it to survive. Thanks for stopping at my place and I also added a follow to yours. Have a great week. Thank you so much! Enjoy your week as well! A kindred spirit! 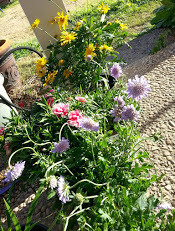 Thanks for visiting my blog- I will now think of your garden while I’m out with bucket and watering jugs, praying for rain, too. Joy and apprehension- so well put. Just what I felt yesterday looking at what needs to be done to get the garden ready! I love how I meet so many wonderful people doing this. Thank you, and I’ll be thinking of your watering woes as well! Back in the day, Ruth Stout (Ruth Stout’s No Work Gardening) championed mulch, mulch, mulch. That and Hugelkultur (sp?) 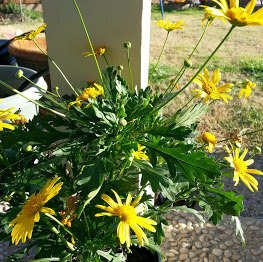 are the drought helpers a gardener has some control over I have used drip irrigation also. 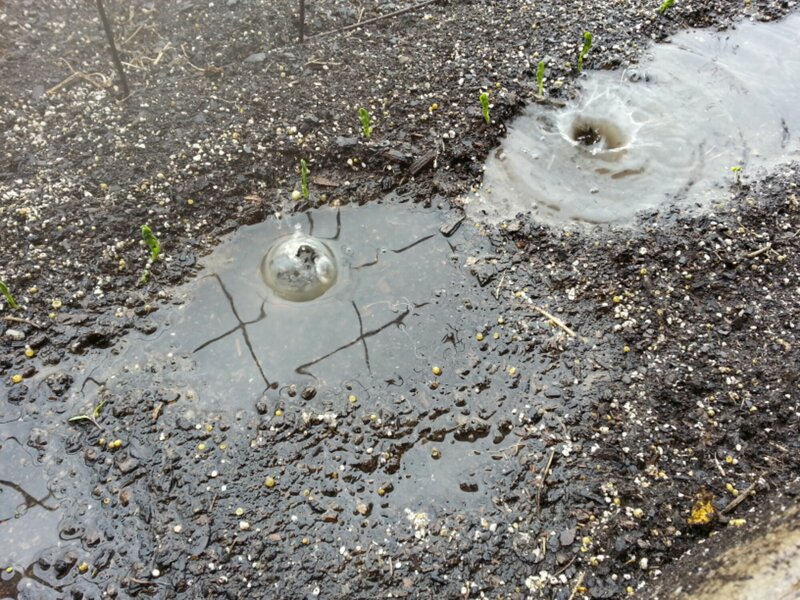 It helps to pinpoint exactly where the water goes and how much each plant gets. Colorado is still really dry, but Kansas is catching up a little on the moisture. Up around Chicago it is very wet. Gardening challenges change so much from one area to the next. I managed to run my soaker hose backwards, yet again! I swear I do that every year. I need stop running the hose at the end of the day when I’m tired! It’s so stiff I hate to pull it and reroute it, the soil is loose and landscape pins don’t stay in place well. Urgg. I have so many other things to do. I make more work for myself!